Experts offer advice on how to spot the warning signs of coding fraud, how to avoid it in the first place, and what to do when it occurs. The complicated nature of coding can increase the likelihood of an organization falling victim to fraud and abuse. Even when coders and physicians do not set out to be purposefully fraudulent, mistakes can happen. These costly and potentially damaging errors can have a negative impact on the organization as a whole. As a result, it's important that coders are diligent about recognizing unethical practices vs legitimate errors. Coders should also know what action to take when faced with an ethical dilemma such as intentional coding fraud. Fraudulent coding is a serious matter. Take, for instance, the case of John Natale, MD, a highly trained thoracic and cardiovascular surgeon known for treating complicated cases who served a federal prison sentence for upcoding one of his surgeries. While he was ultimately acquitted of Medicare fraud, he was convicted of falsifying an operative record. Although such cases are relatively rare, they illustrate the importance of diligence when it comes to ethical practices. While jail time is a worst-case scenario, costly fines and other major headaches are much more likely. It's simply not worth the risk, experts say. Elin Baklid-Kunz, CHC, CPC, CPMA, CCS, a former hospital compliance officer and physician services director who became a whistleblower when she exposed billing abuses at Halifax Health, says there are litigation examples for nearly every area of practice. Today, as a teacher and consultant, she frequently draws upon real-life examples to demonstrate the seriousness of fraudulent coding. "I think that oftentimes physicians have no intention of providing false information—after all, they get very little to no training on this in school—but that does not mean it's not their responsibility," Baklid-Kunz says. "To illustrate how important it is that they understand the severity, I use a lot of examples." Baklid-Kunz says ambiguities in the CPT coding system inevitably produce controversy over coding practices and "honest mistakes," making it imperative that physicians and coders be on the same page. To avoid most coding pitfalls, she says a thorough knowledge of codes and coding policy are musts and recommends health care organizations conduct audits to reinforce the importance of accurate coding. Admittedly, billing is not easy, says Andria Jacobs, MS, RN, CEN, CPHQ, chief operating officer at PCG Software. "Every year there are thousands of changes in coding rules, national and local coverage determinations, health plan rules, and federal and state regulations," she says. "Education is a key to success," Jacobs continues. "Investment in the latest updates to practice software, billing manuals, and newsletters are all helpful. In addition, attending conferences that focus on auditing and correct coding demonstrates to the regulators that the error may be just that and not an intentional and unethical billing practice." As a 25-year veteran of the industry, Jacobs has seen a wide array of coding mistakes and fraudulent errors. For example, when reviewing claims recently, she discovered a hospitalist group was billing multiple subsequent visits each day. 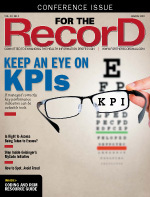 "Of note was the hospitalist's practice of billing multiple 99233 visits each day," she says. "This is the highest level of subsequent visit. The hospitalist group believes that because the physicians had different secondary specialties that they were each entitled to a separate subsequent hospital visit. From the initial clinical review, there was not sufficient documentation to support the need for the secondary specialty expertise." Jacobs finds billing for services or treatments that were not provided or were misrepresented in the health care claim to be the most common type of fraud. It can be perpetuated at several claim creation levels by physicians, nonphysician practitioners, ancillary providers, billing staff, facilities, and even billing services. "In all of these instances, there is a financial loss not only to the payer but also to the patient," Jacobs says. "Additionally, patients have suffered harm and even death when greed is the basis for care and billing." Jacobs says that in many cases, fraud can be compounded by the fact that the patient is seriously ill, elderly, or mentally ill. Both home health care and outpatient partial hospitalization programs have billed federal and state programs along with commercial insurers for services not provided to the patient, she notes. "The patient does not have the skills necessary to review the explanation of benefits to determine whether what was billed is reflected in their care," Jacobs says. "When fragile and vulnerable patients are referred to outside services for treatment, a frequently missed opportunity is for the referring provider to validate the patient's care plan and have regularly scheduled visits to monitor the patient's status." Unusual billing patterns, overutilization of high-level CPT codes, and an inordinate amount of patient and family complaints about medical bills are a few indicators that a health care organization may be committing fraud. "Analysis of the coding behavior of a practice with comparisons against both national and peer groupings assist in identifying outliers," Jacobs says. "There is not one magic report that defines a physician or a coder as a bad biller. While some practices may have sicker patients, most practices fall within the bell-shaped curve for their specialty. Examining coding errors by a practice and comparing findings with nationally respected authorities such as the Office of the Inspector General [OIG] or Medicare Administrative Contractor reports is helpful." An investigation into suspected fraud or abuse requires time and a collaboration between investigators, clinical staff, and claims auditors in defining whether the outlier practice has made a billing error or has intent to defraud, according to Jacobs. Jessica Edmiston, CPC, CASCC, senior vice president of coding at National Medical Billing Services, a revenue cycle company focused on surgery centers, says the OIG has targeted modifier 59 as a potential source of fraud. "Colonoscopies are an example where we see the misuse of modifier 59," Edmiston says. "With colonoscopy procedures, there are different techniques to perform biopsies and polyp excisions and each requires a different code. If two techniques are being used on two separate polyps, it is appropriate to bill both with a 59 modifier on the code that bundles. If both are being used on the same polyp, it is not appropriate to use the 59 modifier. Only the more extensive technique would be reported in this scenario." When faced with ethical dilemmas, Edmiston says it's important for HIM professionals to hold their ground. "Try to explain that an auditor will have the same questions and you are trying to protect them from any compliance issues," she says. "Also, when applicable, provide advice from the AMA [American Medical Association], CMS [Centers for Medicare & Medicaid Services], or the specialty societies to educate them." If absolutely necessary, whistleblowing can be an option. However, Baklid-Kunz, who has firsthand experience with exposing coding fraud, says whistleblowing should be a last resort. If fraudulent coding is suspected, she says it's important to review information such as code descriptions and coding guidelines before reporting the findings. "Get your facts straight and gather them in order to support correct coding," Baklid-Kunz says. "For example, if you are the biller and you notice that every well visit is also billed with an office visit with modifier -25, it would seem unusual that every patient seen would also have a separately identifiable reason for the office visit code." She says most organizations will take action when a staff member suspects suspicious activity. Jacobs says all organizations should have a clear reporting process. "As an auditor, you want to believe that any concern regarding bad billing or unethical practice is going to be reviewed and the corrective action plan implemented in a timely manner," she says. "Documentation and data analysis of the questionable billing behavior assist the biller in presenting the questionable practices to their manager or compliance team." Baklid-Kunz says it takes a strong set of personal ethics and courage to step forward to report fraud. "You must decide what you believe is right," she says. "If you get into a situation where everyone tells you it's OK or that everyone is doing it that way, it can become challenging to uphold your ethics if you haven't already thought it out in advance. Don't doubt your values. In the coding world, when issues like this arise, you must know where you stand and the only way to do that is to be prepared. Knowing how you will handle a situation like this will make all the difference in the world when you are actually faced with it." At times, coding can be straightforward. Other times, it can be as confusing as a tax bill. For example, take surgical coding. The specialty features numerous guidelines and policies that affect code selection. • Procedures being coded from the medical record header instead of the body of the note. Often, the medical record header does not match the body of the note. Still, coders may fall into the habit of coding procedures from the former. Typically, a coder experienced in a particular specialty who has a thorough understanding of payer rules will fare better in this situation. • Utilizing assumption coding and/or forgiving gaps in documentation rather than following the documentation to the letter. Coders work closely with physicians, which allows them to learn the patterns of each physician and their dictation methods. Coders well versed in how procedures are performed use this knowledge to code what they believe occurred regardless of whether it was properly documented. This approach can get coders in hot water. The coding mantra should be, "If it is not documented in the operative note, it did not happen." For example, take occipital nerve blocks, which have different codes based on which occipital nerve block is being targeted. The differences in terms of reimbursement can be significant: lesser occipital nerve block (64450) averages $50, greater occipital nerve block (64405) averages $64, and third occipital nerve block (64490) averages $350. • Inappropriate unbundling and misuse of modifier 59. Modifier 59 should be used only when documentation supports the bundled procedure being performed at a separate site or location, or for a separate service. Coders should never apply modifier 59 solely to get the claim paid. With many coding compliance audits focused on its potential misuse, modifier 59 should be applied only when it is absolutely appropriate.